Rapper Beanie Sigel was arrested on Wednesday morning (August 29), just two weeks before he was scheduled to turn himself in to begin a two-year prison sentence for failure to file taxes. Pennsylvania State Police charged him with weapon and drug offenses after being stopped on I-95, just south of Philadelphia. 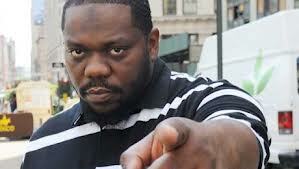 Last week Sigel gave troubling and unsettling interviews at Hip Hop radio stations Power 105.1 and Hot 97 in New York in anticipation of the release of his album where he talked about his family, and his relationship with Jay-Z. The rapper while attempting to revive his career under the Ruffhouse Label, was on a promotion tour before his prison sentence is set to begin in September.